Education is our best resource for keeping our community happy and healthy. Please take the time to give a pamphlet to those you love. Download our infomation flyer in English or Spanish. Do you have an event you want to list? We are excited to help our community and all the groups working for a clean and healthy Eagle Pass and Maverick County. This website is a place where we can gather, distribute and create a platform for all our citizens. 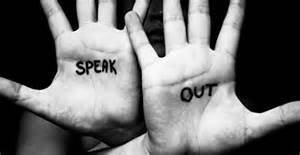 Together we can create a change. Consultation with the Native American tribes is a requirement for permit approval on projects like the Dos Republicas Coal Mine. The permitting process requires a study to be conducted into the areas being disturbed. No consultation has been done with the tribes, as is their federally protected right, into the protections of their sacred lands. 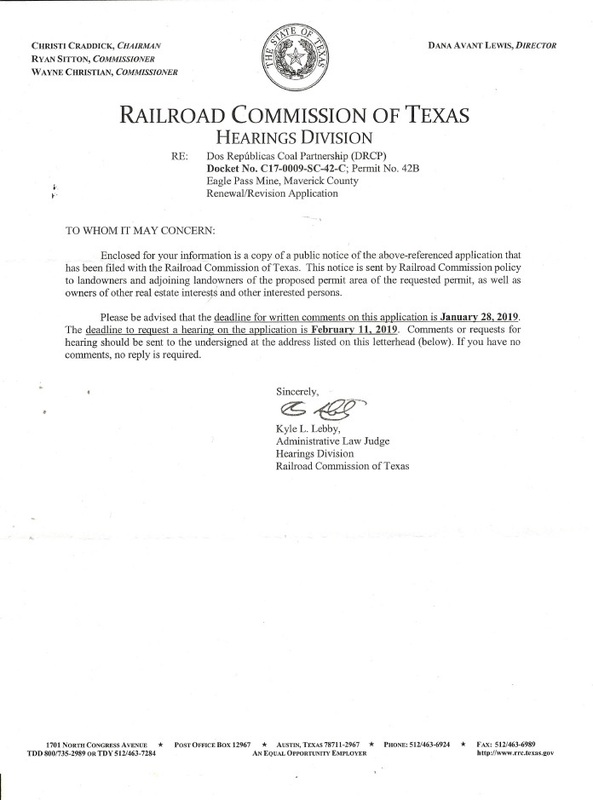 The Carrizo/Comecrudo tribe has stepped forward in opposition to the mine and have filed with the Railroad Commission into their rights and protections. 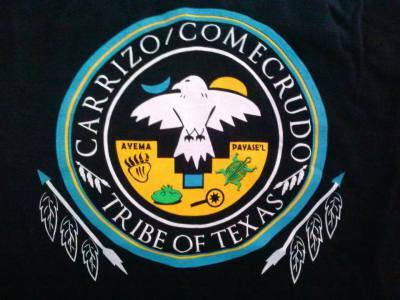 The official letter from the Carrizo/Comecrudo tribe is below, as well as a general letter FOR YOU if you would like to stand with our Native American tribes and help protect their heritage and sacred ancient sites. We must stand together to protect our community, our heritage and our homes. Send a letter today to your representatives today and demand protections for us and the tribes. Below is a brief summary of the TCEQ Water Permit Hearings held in Austin last month November 16th-19th. The Environmental Defense Fund, comprised of several parties, represented our community and our concerns regarding the safety of our drinking water in regards to the contested water discharge permit. It was revealed at the hearings that the permit does not require the TCEQ to do any testing of the waters approved for mine wastewater discharge. The permit only requires the mine itself to test once every 5 years, (5 year permit) which was conducted after its first discharge in June. The mines position is that it will deposit little water discharge into the creeks unless the community receives rains. The permit does not account for annual inundations from June - October, and should consider the actual amount of waters received by the community each year. The amount of water to be deposited into the Elm Creek, Rio Grande River and other tributaries will exceed the orginal amounts submitted the TCEQ for the origninal permitting process and should require more testing. This mine water is being deposited directly into our municipal water supply and is wholly inadequate for protecting and safeguarding our community from water contamination. The EDF Group’s position is that this TPDES permit should be denied to Dos Republicas because, among other concerns, insufficient data was supplied in the application, there is more aquatic life in the receiving streams than originally thought and monitoring requirements for discharged contaminants are insufficient.